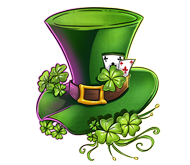 NEW ST PATRICK'S DAY ITEMS! We are a gaming network devoted to giving you high quality unique Minecraft servers that you've never seen before! We promise to keep purchase costs low and staff presence high. You can purchase with the peace of mind knowing that we pride ourselves on making the players happy and providing a friendly server network for you all to enjoy! This is the recommended payment method. If you would like to make a purchase using your paypal balance or bank please select this. Use this payment method if you want to purchase an item with credit cards or prepaid credit cards. It also accepts mobile phone payments. When entering your username please make sure it is case sensitive. Please make sure you have enough inventory space for your needed items as items are non-refundable. Purchases can take up to 15 minutes to process. What do I do if I haven't received my purchase? Our store should credit purchases to your in-game account within 30 minutes. You must be ONLINE to receive your purchase. Please keep your account logged in when waiting for a purchase. If it doesn't credit within 2 hours then created a thread explaining your situation HERE - a staff member will assist you when they are available. Having problems? Contact a staff member and we will respond within 24 hours. Payments to the Skyblocky servers is a payment for the virtual items contained in the purchase. This transaction is final and there are no refunds. If you are banned for breaking the rules of the Skyblocky servers, you will not be refunded this money. Bans are subject to the full discretion of the server admins and rules can be changed at any time. There is no guarantee on being able to enter the server, and if the server is no longer operated the virtual items are forfeit. Refund requests due to issues concerning lag, game glitches, or any other issues are subject to the discretion of the Skyblocky administration team. All items are virtual and have no value. Consumable items will be reset each time the server resets. Except in specific circumstances, ranks will always stay. The Skyblocky server is not affiliated with Mojang or Microsoft. 82 / 600 players online. Donated 125.00 USD this month. Arkham Entertainment, LLC is NOT affiliated with Minecraft, Mojang AB or Microsoft Studios. Minecraft is © Mojang AB 2009-2017.